Join our MASTERCLASS on Hip Opening, To Increase Energy & Mobility. Explore practical tips and yoga exercises aimed at increasing the overall energy and mobility. Please bring your water bottle for refill at the studio. You may have an early lunch since the session is done on an empty stomach. 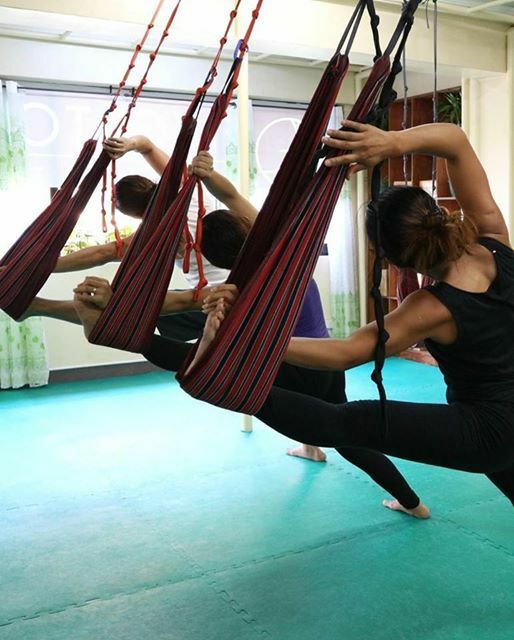 This program is a combination of Aerial Yoga and Hatha Yoga. Nonmembers: ₱395 for 1 and and ₱700 for 2. Flyers Club Members: ₱350 for 1, ₱600 for 2. Or email us at Rmx5Y2F0Y2hlcnNzdHVkaW8gfCBnbWFpbCAhIGNvbQ==. Let’s fly to wellness and explore fun in fitness!